Having more than one buyer persona is a balancing act. If they're very different, you may feel like you're constantly in danger of not giving one enough attention, or confusing your personas with untargeted content. Add the problem of keeping all your content grouped together on one social media page, and you're really lost. Some brands have found a way to fix this issue on LinkedIn, specifically, by creating something called Showcase Pages. Let's take Gap as an example -- they've got a page for Old Navy, Banana Republic, Gap, and Gap Inc. But those pages aren't all connected or centralized around Gap Inc. Showcase Pages, however, fix this problem. Showcase Pages are niche pages off of a company page. They allow a company to promote specific products or market to a specific buyer persona. LinkedIn users can follow singular Showcase Pages without following the business or their other Showcase Pages. This allows businesses to promote for and cater to the audience specific to the page. In other words, if you have a pet boutique, your dog-lover customers won’t be subjected to reading about your blog post on the new tank cleaning spray for iguanas. With Showcase Pages, marketers can create hassle-free content that's personalized to the audience they’re selling to. This allows companies to drill down into each of their buyer personas more deeply and keep content personal and interesting. Once that content is published, LinkedIn provides businesses with useful, dedicated analytics for each page. Microsoft, along with Cisco, Intel, and Adobe were among the first to implement Showcase Pages into their marketing strategy. Microsoft has been particularly successful, with Showcase Pages that have upwards of 9,000 followers. It's important to note that if your business already has more than one Company Page, there's no easy way to move these from Company Pages to Showcase Pages. The LinkedIn blog does say, however, that they're exploring the opportunity to have this available in the future. It's also important to note that Showcase Pages can only link back to one centralized Company Page. 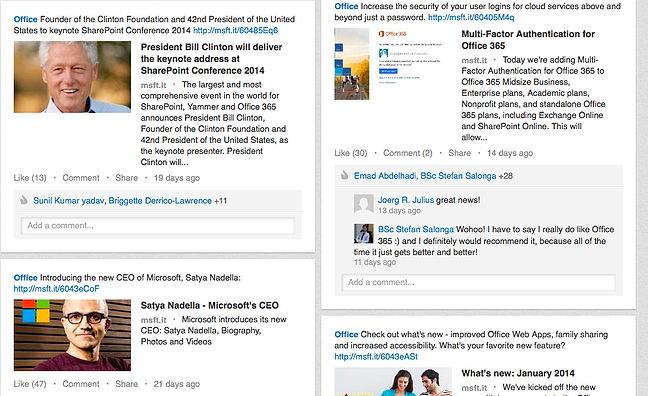 Here's what's important to know to differentiate Showcase Pages in your head from the other LinkedIn Pages. Showcase Pages have a larger hero image. They have a two-column newspaper-like layout for content posts. Unlike Group Pages, businesses can advertise and buy sponsored updates. Unlike Company Pages, there are no careers, products, or services tabs at the top of the page. 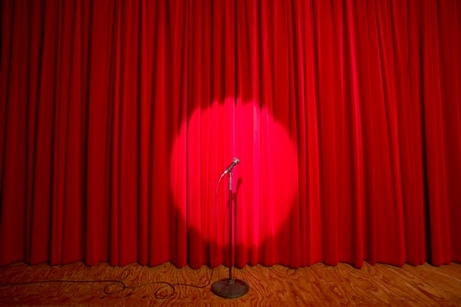 All Showcase Pages link directly back to the business page. 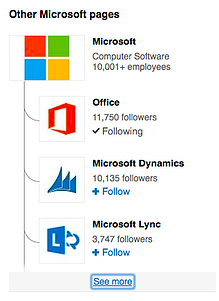 This means your pages are all centralized around your company. 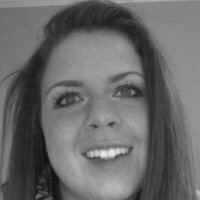 Employee profiles cannot be associated with a Showcase Page. How do I make a Showcase Page? Click on the drop down to the right of the “Edit” button and click on “Create a Showcase Page." Decide on a page name and administrator -- it must be different than the main page because it's used in creating a custom URL. Click "Create Page." You can then enter information as you would for a regular page including website links, industry, and images. Create content for your niche community. You can create up to ten free Showcase Pages. For Microsoft, each Showcase Page is associated with a product and has its own specific content strategy. The style of the images and the overall aesthetic and voice tie back to the greater vision for the brand, but the pages have their own voice, strategy, and brand story. 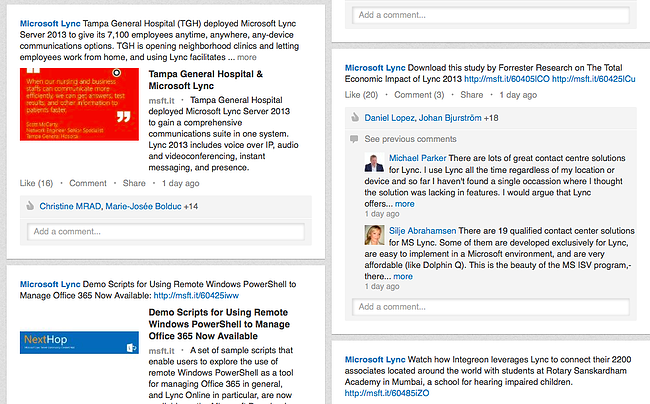 Microsoft has showcase pages for Microsoft Office, Lync, Visual Studio, Bing Ads, and more. Microsoft Office is a suite of computer applications that help users with day to day tasks in the office like creating slideshows, spreadsheets, and documents. (Just in case you didn't know ... you know what they say when you assume.) Microsoft Lync, on the other hand, is a messaging client that allows users to take part in telephone calls, instant messaging, video calls, and video conferences and meetings. Because both products have different functions and different buyer personas, their Showcase Pages feature people doing different things, and share different kinds of content. Below, you can see that the hero image for Office depicts a young man, focused in an office setting with the text "#GetItDone." 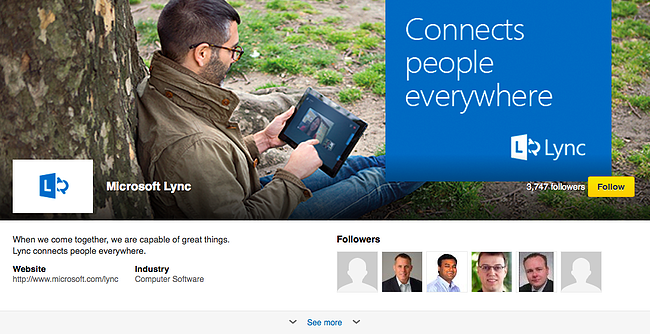 The Lync hero image is still technology related, but that man is outside and using his technology for leisure. The text "Connects people everywhere" suggests a different focus than Office. The content for both is related to the hero image, but different from each other in subject matter. Office focuses on product updates, business conferences, and general changes in Microsoft. Lync, contrastingly, focuses on real life impact of their product by spreading news on specific stories and, studies with evidence. They also share information on new features for their product. Showcase Pages are also a simple way to create a customized page for a certain campaign or event. The pages could also be used as a help center, FAQ forum, or outlet for product training. For instance, their Microsoft Office page shows people vigilantly at work and displays the words “#GetItDone” in its hero image. This page has content on “doing more in less time," related events, Office’s anniversary, and Office help. 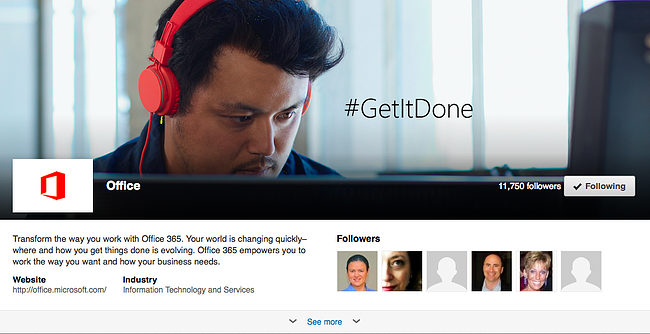 So, what do you think of LinkedIn's Showcase Pages? Will you set one up? Have you already?